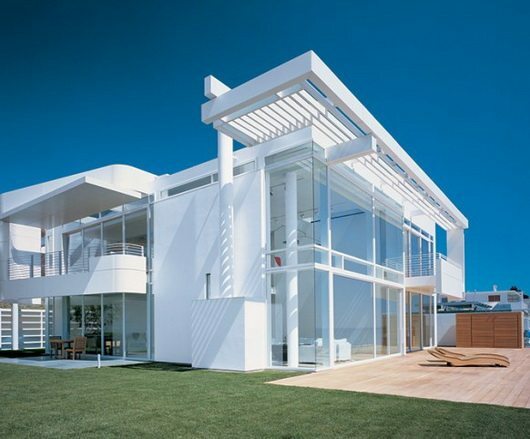 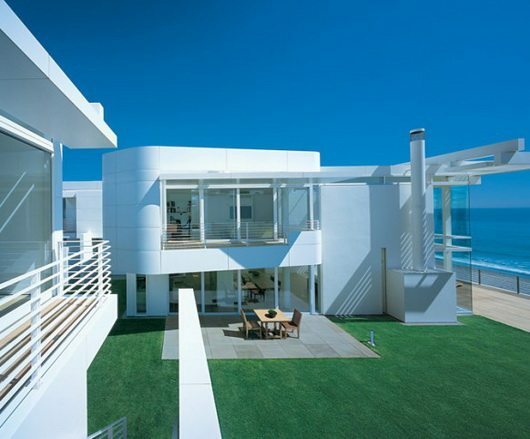 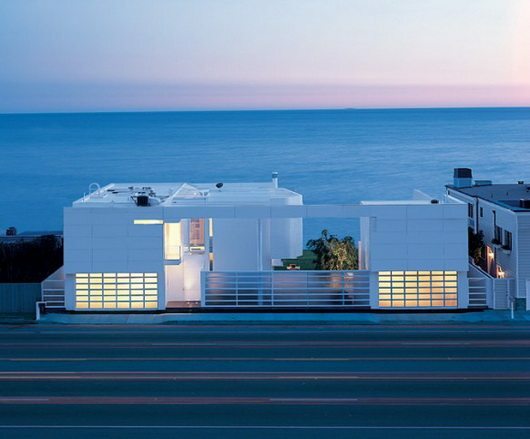 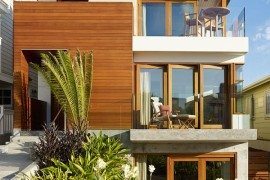 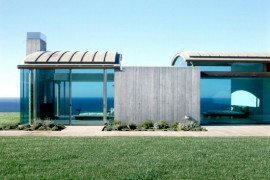 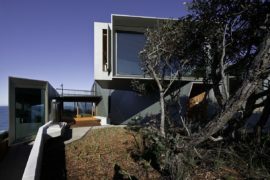 This white giant by Richard Meier and Michael Palladino is an example of beautiful and refined design, albeit in a typical shape for a California beach residence. 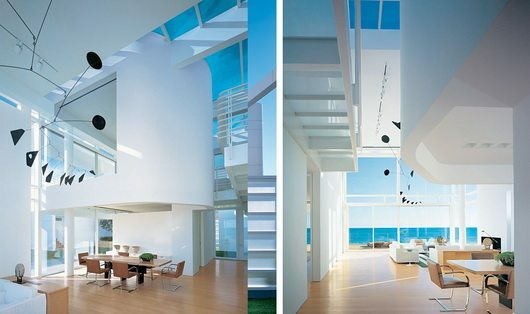 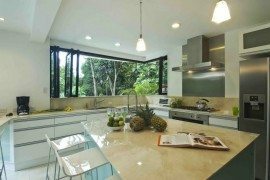 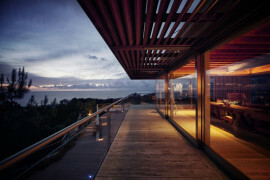 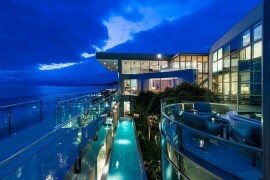 The glass ceilings and walls allow the endless blue of sea and sky to complement the shining, almost unbroken white of interiors and furnishing. 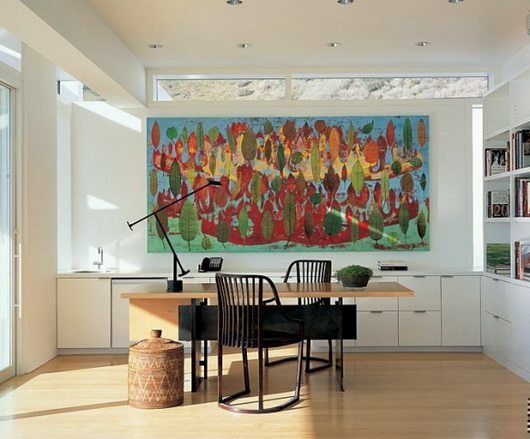 While so much brightness may be oppressive, the refined art collection of the clients provide for some chromatic intensity and exuberance. 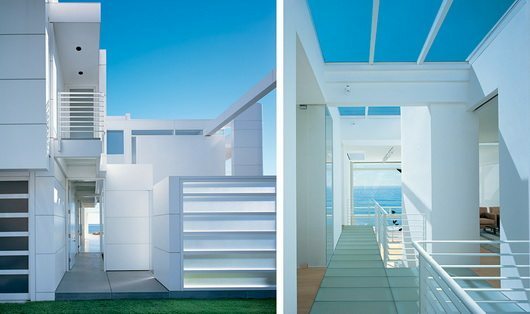 The rooms are glass boxes for the light to shine through, while the planes, support elements and wall panels, all white, intertwine playfully against the sky brought in by these endless windows.